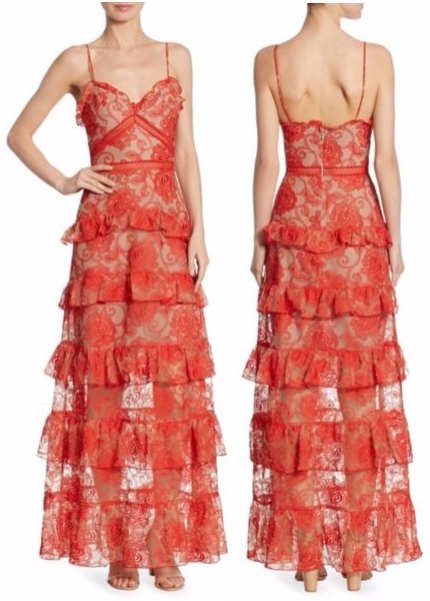 This Rosie Tiered Embroidered Lace Gown is style code: 0400094384450 at Saks Fifth Avenue. Learn more about the Nicholas fashion brand. This dress would be fabulous as Summer Garden Wedding Fashion or any other wedding you may wish to attend.